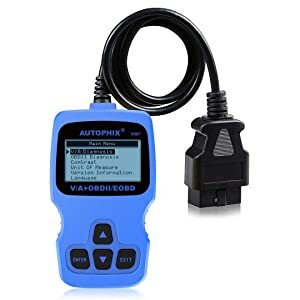 If you own a VW and you are fed up of paying hundreds of dollars every week to your mechanic, then it’s time to get a VW scan tool. We have listed some of the most potent and efficient scanners that can help you diagnose and determine faults in your VW. Launch CRP429 is obviously designed for professionals and mechanics. However, those who are interested in learning more about their cars can also try this automotive diagnostic scanner. 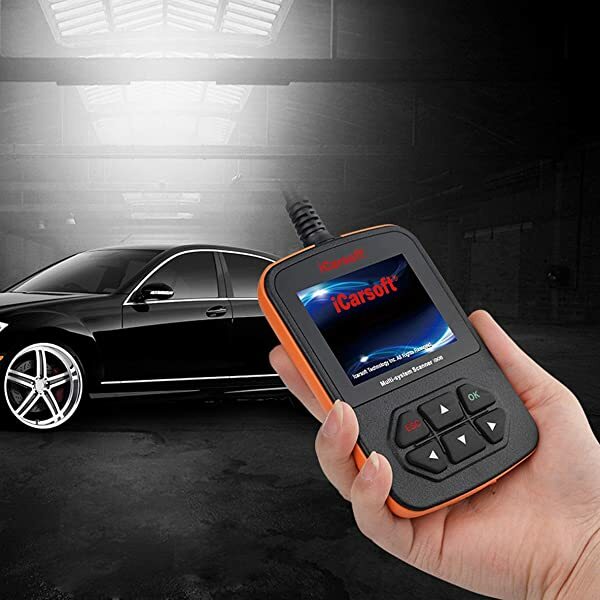 If you’re looking for a powerful VW scanner that can offer a multitude of basic and advanced features, then Ancel VD500 can be a good choice. It can read codes from the ABS, SRS, Transmission, and Engine. Abs: The scanner can read ABS light and pass a trouble code with the meaning so that you can determine the issue in the anti-brake system. SRS: You will be able to find faults in the airbag system of your VW. SAS: It reads SAS related trouble codes and helps adjust steering angle sensor. TPMS: The scanner supports TPMS codes and can help monitor tire pressure in the vehicle. IMMO: It can read IMMO codes to ensure your car remains safe and protected. 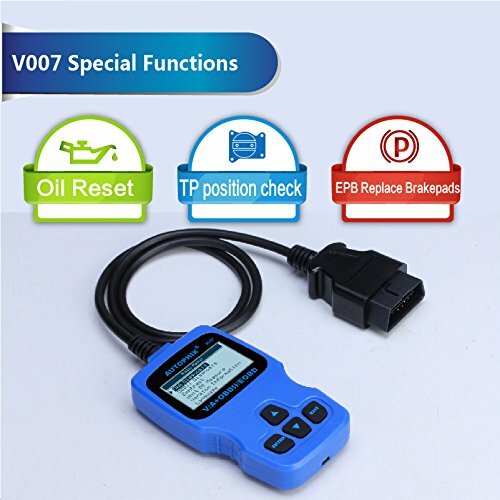 Oil Reset And Throttle Position Adapter: It can read, and clear oil reset light, and also help adjust the throttle position (poor performance, engine misfires, etc.). EPB: It can read codes related to the electronic parking brake system. Note: These advanced features will only work in a few brands including Volkswagen. This scan tool works with all 1996 and newer models of VW. The scanner also supports many other brands such as Sharan, Rabbit, Polo, and Jetta. The screen may freeze when resetting codes. The LCD could have been better. This VW scanner is for DIYers, mechanics, enthusiasts, and professionals. The tool is easy to use and quick to show results. This wireless device connects to any Android device and lets you diagnose the car in no time. It’s designed to let you become a pro but is said to be suitable for professionals as well. ABS: The scanner lets you diagnose problems in the ABS to ensure safety. It not only reads ABS light and displays a trouble code but also helps reset it once it is fixed. SRS: You will be able to perform a diagnosis on the airbag deployment system to find faults. Moreover, the VW scanner can also read transmission, multimedia, and AC codes. Oil Reset: It will notify when your car needs an oil reset. CEL: It can diagnose your car when the engine light is on and show related codes along with their meaning. DTC: Diagnosing a problem in the VW becomes more comfortable with this feature. It explains the trouble code so that you can identify and fix the issue without having to search the web or look for an expert. Long Coding: This feature keeps you updated with several useful warnings such as speed warning, key ignition warning, lap counter, and staging. 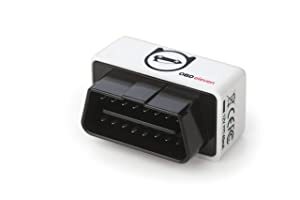 Live Data: You will be able to see live data with this obd2 adapter. This feature helps save time and makes it easy to find issues with the car. You will, however, need to download a suitable app. All you need to do is download an appropriate app. OBDeleven pro has its app which lets you connect your Android phone/tablet to the scanner. One Click Features: It supports EPB, BEM reset, DRL reset, new battery registration, and oil pressure monitoring. You can use these features with just a click of a button. It covers all 1996 and newer obd2 compliant VW vehicles and some older cars as well (1991-1995). The interface is straightforward to comprehend. Trouble codes can be shared via email. You need to pay for the One Click Diagnostic feature. Who Is It Bult For? It’s an excellent tool for professionals, mechanics, and DIYers. 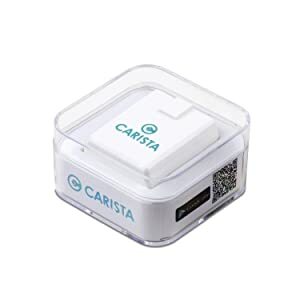 Carista is a well-known name when it comes to VW scan tools. Carista OBD2 Bluetooth VW Scanner can diagnose problems in your Volkswagen and also recommend good fixes. This VAG scan tool runs on both iOS and Android devices and comes with its app. It also offers customization making it a trouble-free experience. Primary Functions: This VW code reader offers a variety of basic features. It can read engine light codes, perform emission tests, and also show definitions. In addition to this, the app also lets you customize how the windows and doors of your vehicle function. Advanced Functions: This Volkswagen scanner offers a bunch of advanced features as well. It’s designed to find faulty sensors, wiring issues, blown up fuses in the ABS. The device lets you know why the ABS light is on so you can correct the problem. The scanner can read all kinds of SRS-related codes as well and help find problems in the airbag deployment system of your VW. With this Volkswagen code reader, you can reset module, read EPB-related issues, and launch control counter. These advanced features are available for a few vehicles only and VW is one of them. Supports all obd2 compliant vehicles that are 1996 or above models but offers advanced features in only a few such as VW, Audi. 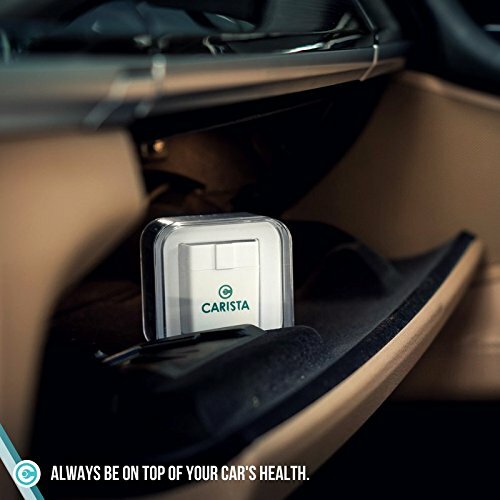 Carista can diagnose problems in your car and also recommend good fixes. Not bulky and takes very little space. Supports third-party apps such as OBD Fusion. Reads and resets codes.1-month free trial to use advanced features on the app. Doesn’t support TPMS in VW (Available in Scion, Toyota). The Carista app has to be purchased after a month ($40/month). Carista is ideal for users who own a Volkswagen. The features make it suitable for DIYers, enthusiasts, and beginner mechanics. With this Volkswagen scan tool, you’ll be able to find various issues within seconds. 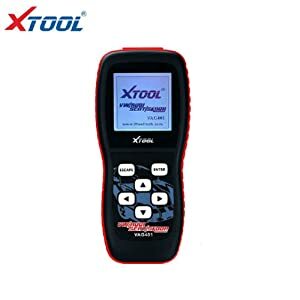 It is said to be perfect for professionals as it gives quick results and covers various functions including ABS, SRS, transmission, A/C, radio, and steering wheel. ABS/SRS: This scanner can read ABS and SRS issues in your VW and offer reliable fixes. Oil And Mileage Reset: It can read oil reset light, and also reset it when you replace the oil. The device lets you reset the mileage count as well. Read And Erase: You can read engine and transmission related codes in your VW. The device allows you to clear the codes, too. SAS: With this VW scanner, you will be able to calibrate steering angle sensor. Basic Features: It supports basic features too, which includes CEL, I/M readiness, DTCs, etc. It supports all VW models made between 1996-2016. The cars, however, need to be OBDII compliant. It does not support newer models. Very light at just 1.2 pounds. Doesn’t support key programming and TPMS. This VW scan tool is ideal for DIYers and enthusiasts who want to find problems in their VW models. 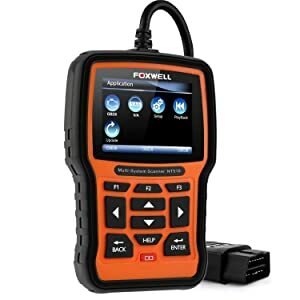 If you are in search of a VW scan tool that can read and clear trouble codes in not just OBDII supported vehicles but OBDI vehicles as well, then opt for Foxwell NT501. Advanced Tests: FOXWELL NT501 can perform actuation test, system test, and programming tasks on control modules. ABS: You can read and reset ABS light. It will display the error along with the definition so that you can solve the problem. SRS: It can read SRS related codes and make sure that your airbag deployment system works correctly. Transmission and Oil Reset: The scanner can read A/T codes accurately and show live data as well. Moreover, it also notifies you when your car needs an oil reset. SAS: You can calibrate steering angle sensor and also find faults in this system. DPF: Reads and clears DPF codes and helps determine the fault in the exhaust system. EPB: It can read trouble codes associated with the electronic parking brake system. EPB is meant to perform a handbrake in the vehicle during parking; the system ensures you have no problem with it. TPMS: It will monitor tire pressure in the VW to ensure your rides go smoothly. It supports only a few OBD-II compliant brands including VW, Audi, Alfa, BMW, Skoda, and Seat. FOXWELL NT510 gives you Full System Diagnostics. Use for another brand for just $60. Supports bi-directional tests (switches, relays, actuation, etc.). The steering angle and rack sensor might be inaccurate. This VW scan tool is for mechanics and professionals who want to carry out an in-depth diagnosis of Volkswagens. 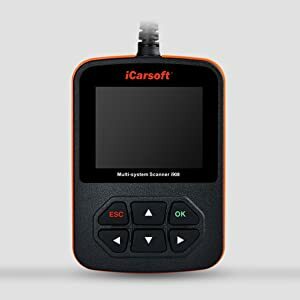 iCarsoft i908 is called a multisystem VW scan tool as it can communicate with the engine, body, and chassis of the vehicle. The device can support ABS, SRS, transmission, engine modules, etc. ABS/SRS: It reads all ABS and SRS related trouble codes and offers a fix. With this scanner, you will find it easier to get rid of problems associated with the two systems. Advanced Features: It offers many advanced features such as ACS (automatic clutch system), EIS( electronic ignition system), TPMS, IMMO, EPB, oil service light, EPS, etc. Basic Features: It can read and erase CEL codes, I/M readiness, and MIL. It’s straightforward to use as it provides you live data and also offers freeze frame. iCarsoft i908 can communicate with the engine, body, and chassis of the vehicle. Supports all ten obd2 modes. Doesn’t support fuel pressure relief. 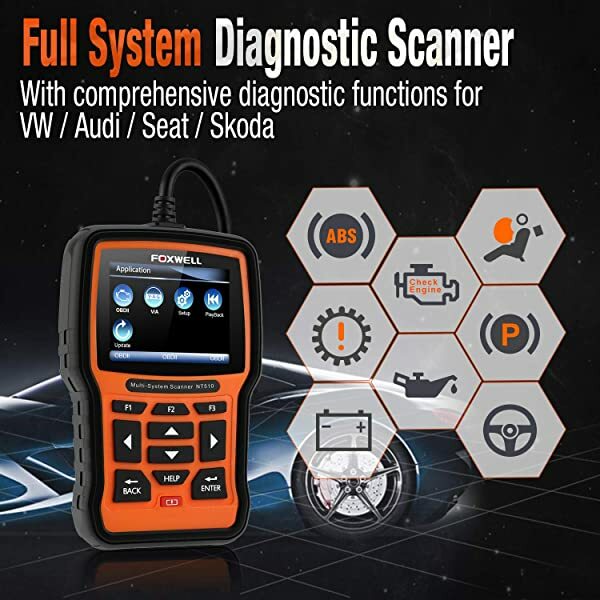 This scanner is meant for professionals, mechanics, enthusiasts, and DIYers who want to diagnose their Volkswagens and find multiple faults. Autophix V007 offers a blend of basic and advanced features which is why it is suitable for all professionals and DIYers. 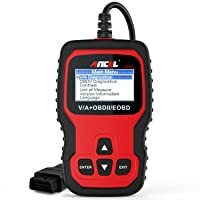 Advanced Features: You can adjust throttle position, reset oil service light, diagnose ABS/SRS issues, and brake pads as well with this VW code reader. The scanner also offers IMMO and AC features. Basic Features: It can read CEL, MIL and reset it after you have fixed the issue. It supports al 1996 and newer obd2 compliant vehicles including VW, AUDI, Skoda, Seat, Golf, and GTI. Some special functions of AUTOPHIX V007. Easy to handle and hold as it’s just 1.37 pounds. The color LCD makes it easy to read what’s on-screen. The wire is pretty long and durable. It’s ideal for people who are beginners and DIYers. They can find faults in the ABS, SRS and a few other systems with this scanner. If you’re a beginner, then we recommend Carista OBD2 Bluetooth Adapter because it offers a few advanced features that are commonly used such as ABS, SRS. It’s also easy to use and comes with an exclusive Carista app. Moreover, you can use it with 3rd party apps such as OBD Fusion. OBDeleven Pro for VW is another great VW scan tool as it helps diagnose, code and program in VW cars. You can diagnose problems in the ABS, SRS, EPB, and Transmission. It also lets you perform oil reset, making it suitable for all kinds of users. Lastly, get ANCEL VD500 if you are a professional and need a tool to make your job easier. This scanner supports ABS, SRS, oil reset, transmission codes, EPB, etc. It’s essential to have a top-notch VW scan tool for your vehicle so that you can save both time and money. Choose one that best suits your needs. This review takes a detailed look at the Actron CP9125 OBDII code reader. It bases on personal experiences to lay the good and the bad of the scanner. Filling up a car’s fuel tank with wrong fuel is a common mistake people do on the fuel stations. 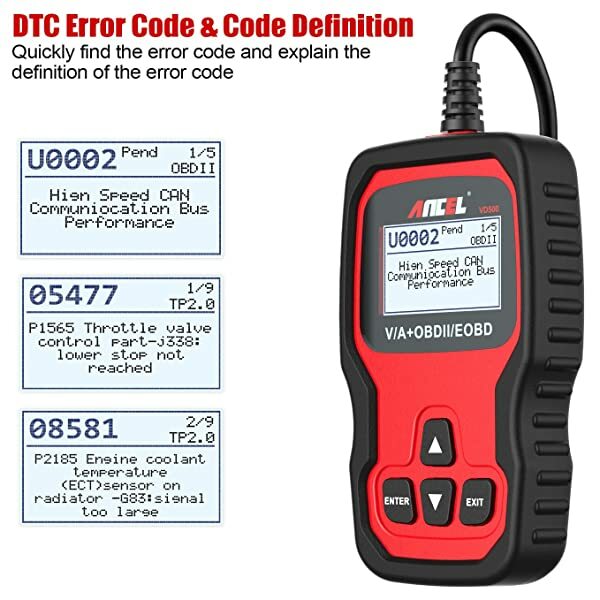 P0169 is the most widely used OBD2 DTC code for wrong fuel composition.